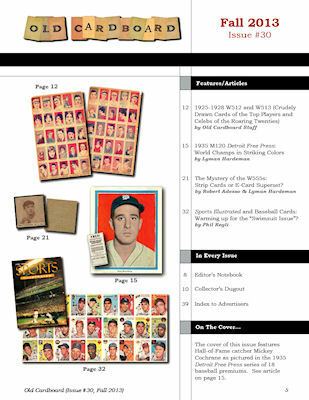 The cover and table of contents for Issue #30 are shown below. 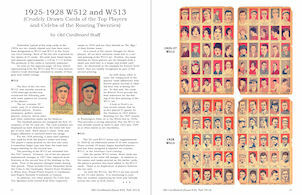 1) "1925-1928 W512 and W513 (Crudely Drawn Cards of the Top Players and Celebs of the Roaring Twenties)" by Old Cardboard Staff. 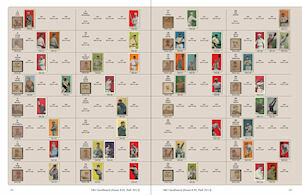 An overview of the closely related W512 and W513 strip card series including a gallery of the two sets in the form of four 25-card sheets. 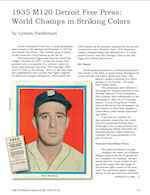 2) "1935 M120 Detroit Free Press: World Champs in Striking Colors" by Lyman Hardeman. Describes details of the M120 Detroit Free Press series of 18 premiums and how they were distributed. 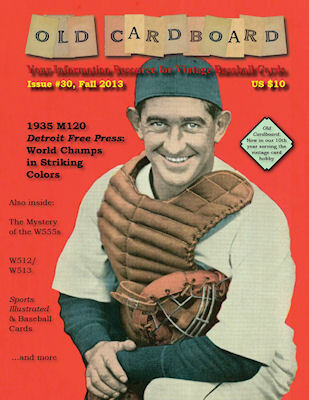 The striking oversized premiums were issued throughout the Spring and Summer of 1935 and feature players that were to become the 1935 World Champion Detroit Tigers. 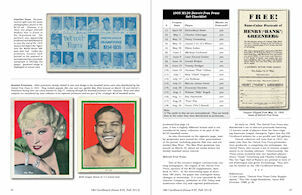 Included is a gallery of all 18 premiums in a very colorful two-page spread. 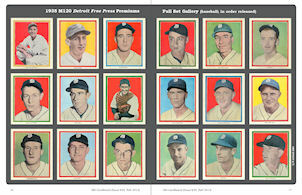 3) "The Mystery of the W555s: Strip Cards or E-Card Superset?" by Robert Adesso and Lyman Hardeman. 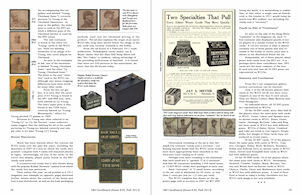 Several discoveries over the past few years have shed much light on the W555 set, erroneously classified as strip cards in the American Card Catalog. 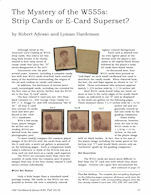 An article co-authored with Robert Adesso unravels many of the mysteries of the set that shares poses with four E-card series. 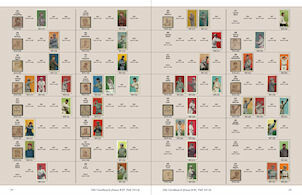 A revealing multi-set gallery of all five series is also provided. 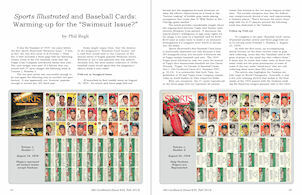 4) "Sports Illustrated and Baseball Cards: Warming up for the 'Swimsuit Issue'?" by Phil Regli. 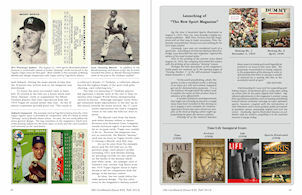 Sports publications collector and dealer Phil Regli shares his knowledge about Volume 1, Issues 1 and 2 of Sports Illustrated and the 3-page magazine fold-outs printed inside. 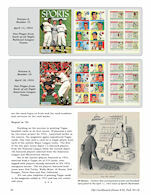 The fold-outs, both printed in August 1954, feature one of Topps earliest baseball issues along with a dozen black and white Topps "fantasy cards" thrown in for added intrigue (including a fantasy card for Mickey Mantle, which was not included in the Topps regular issue). 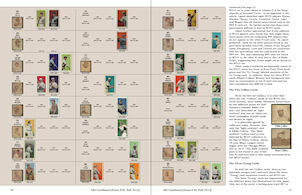 Images of the two 1954 fold-outs are provided in the article, as well as fold-outs of Topps cards printed in SI the following year.